This is a case study about social media usage by the very tall. To the coverage of H&R Block, Dell, Comcast, Southwest, Papa John’s, Whole Foods and other brands for their successful use of social media, I offer another: The Phoenix Suns. Led by Suns’ Director of Digital Media Amy Martin (@phoenixsunsgirl) the NBA team has launched an array of social media initiatives designed to create intense loyalty among fans, and to turn casual sports enthusiasts into Suns patrons. The Suns’ social media effort has been building for years, but has hit a crescendo with the addition of Shaquille O’Neal to Twitter. Considered by most to be one of the Top 10 players in history (and 2nd best ever at his position), the goofy but insightful Shaq has more than 34,000 followers to his Twitter account, making him one of the most popular Twitter users globally. 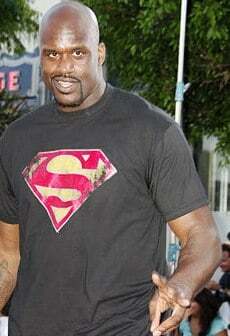 This after a Phoenix-area fan created an ultra-believable faux Shaq account that was covered by the New York Times, among others. Amy Martin says that Shaq’s Twitter embrace dramatically increased the focus on social media in all corners of the Suns organization, and more than 25 employees are now using Twitter. But this isn’t just a Twitter story. The Suns Web site features more than 20 different bloggers, including General Manager Steve Kerr, players, and the dance team. There’s a podcast. A widget. A Web toolbar. A Facebook page. A YouTube channel. The team has also recently launched Suns Locker Room, a virtual tour site that expertly weaves video, humor, interactivity, and product placement of sponsors. Planet Orange is the Suns virtual online community, a kick apps-powered white label social network. The Planet Orange community is focused on user-generated content, with forums, aggregators that combine posts from fan blogs and Twitter, robust photo streams, and a genius new contest where fans send in their own videos about LASIK, with the best video winning eye surgery from the team opthamologist. 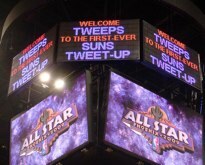 Taking social media outreach off of the computer screen and bringing it to the real world is a best practice (see Fiskateers), and the Suns did it to perfection with their January 16 Tweet Up Night. For Suns fans on Twitter, the team provided a 33% discount on tickets, special seating in “Twitterville”, a Suns on Twitter T-Shirt and a souvenir bag. But this wasn’t just a group ticket ploy. As described by Amy Martin, the intention was to create a meaningful experience that participants would then spread, increasing awareness of the team. This is an especially interesting long-range marketing approach, as the Suns have had little trouble selling tickets for more than 5 years. More than 125 fans participated in the event, including a pre-game gathering at a popular restaurant owned by Suns’ assistant coach Dan Majerle, followed by exclusive court-side pre-game warmup watching. The Suns narrowly lost the game, but Tweet up participants met for more than half an hour afterwards with GM Steve Kerr (with @phoenixsunsgirl lobbing questions from Twitterers who couldn’t make it to the game). 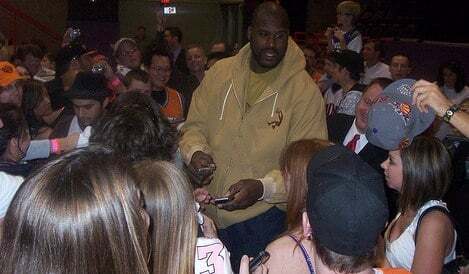 At the end, Shaquille O’Neal himself made an appearance, chatting with Twitterers and signing autographs. The team plans to launch other Tweet ups soon, given that for the 12 hours preceding and immediately following the game, Twitter had a tweet about the Suns on average once every 1.6 minutes. More than a dozen blogs covered the Tweet up, and Amy Martin says teams from around the NBA are contacting her for advice in launching their own social media and Twitter initiatives. In recent days, she has launched her own Phoenix Suns Girl Facebook fan page, as the team looks to extend its social media presence by humanizing the brand – with real humans. “People want that personal connection even more than they want a connection to the team,” she says. What do you think of the Suns’ social media program?